Unfortunately, this is the fallback of feature, when the C++11 based libnumbertext library is not available. @Cloph, Could you help us, please? Is it possible, that TDF build is configured with --disable-libnumbertext? Note: libnumbertext uses C++11 regex features supported by Windows, libc++ and newer libstdc++ (but not GCC 4.8). If this is a problem for the portability of TDF LibreOffice builds (I don't know) libnumbertext can use boost regex, too, but I couldn't configure it to do that in LibreOffice, yet. under Linux (64 bits) with es-ES (es_ES.UTF-8), language settings, Spanish UI on a Spanish document. Changing both, document language and UI language to English do not fix the problem: I get the same results. what is it with library? while not explicitly disabled, the library is not compatible with the baseline used (or uses bad configure checks). configure: WARNING: No system-provided libnumbertext or codecvt/regex c++11 headers (min. libstdc++ 4.9). Enable libnumbertext fallback (missing number to number name conversion). Windows doesn't have this issue, so should work there. Now we have a new release 6.1 with implemented new good feature, that doesn't work. I hope, Linux distributions will solve this problem soon. Suse developer Tomáš Chvátal fixed my boost based regex configuration, so it will be able to compile LibreOffice with libnumbertext support on older Linuxes, too. Same problem for me in French under Ubuntu 16.04 x86-64. For Windows, the problem is that we don't install share/numbertext directory with data. 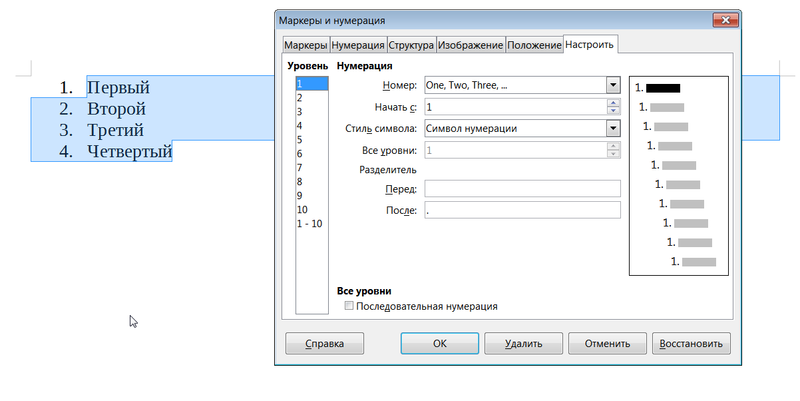 numbertextlo.dll is installed correctly. Manually copying the directory from dev tree fixes the problem -> installer issue. > directory from dev tree fixes the problem -> installer issue. @Mike, Roman, thanks for your investigations. In my patch, I tried to use libtextcat's fingerprint/ installation path as a model for numbertext/, but it seems, I missed something here. @Cloph: many thanks for the fix! Comment 18 indicates that it now works on Windows. Maybe this needs to be reopen as a Linux issue? Please track it separately - file a new report for Linux. This makes issues manageable. Thanks!